Enriched with fresh mango, fresh pineapple, banana, Mango Pineapple Smoothie is a nutritious tropical delight for the taste buds. It is way better and natural than the one they serve at McDonald’s or Starbucks. So, note its easy recipe and blend until smooth! Here is how to make Mango Pineapple Smoothie Recipe. A perfect smoothie is quick to make, healthy and delicious. Moreover, it is way better than munching on fruits during the rush hour. So, keeping frozen packs of fruits makes total sense for a quick and nourishing start of the day. 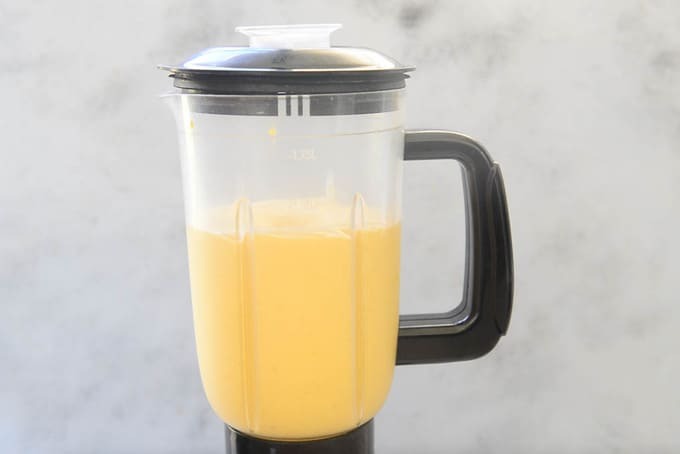 Making this Mango and Pineapple smoothie is very simple and quick to make and is slushy and rich. This tropical treat transports you to another world in just a sip. 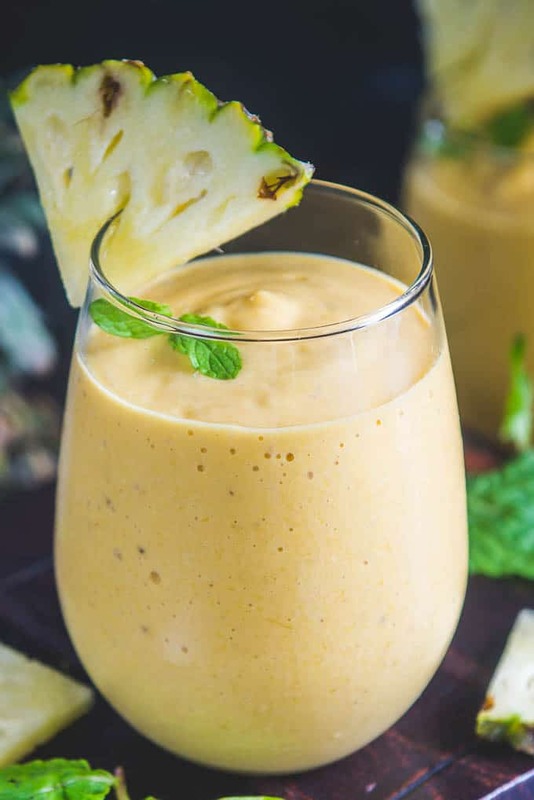 A great drink to appease mango as well as pineapple lovers, the ingredients for Mango Pineapple Smoothie are easily available as well. Overall, this “sunshine” is even fit for the weight watchers because it is all natural and devoid of additional sugar. To make it luscious, I have added honey, yoghurt and a dash of lime juice for some freshness. 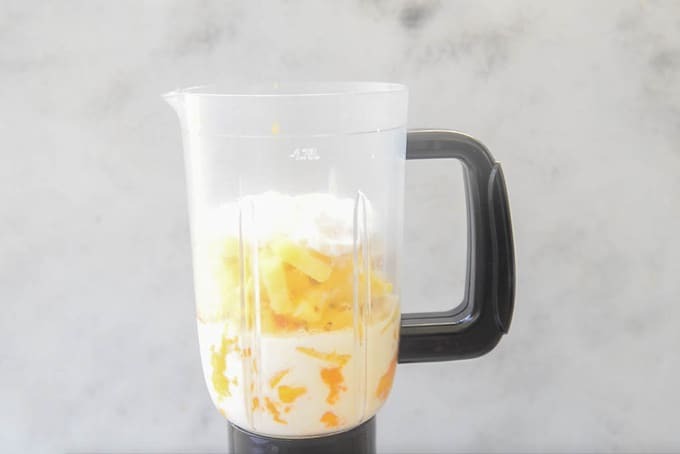 Furthermore, you may throw some orange juice along with a cup coconut milk, mango chunks, ice cubes and greek yoghurt to make it more tasteful. Most importantly, used peeled and frozen mango, frozen pineapple while making it. Because, these frozen tropical fruits will make it more creamy, thick and slurp-worthy. 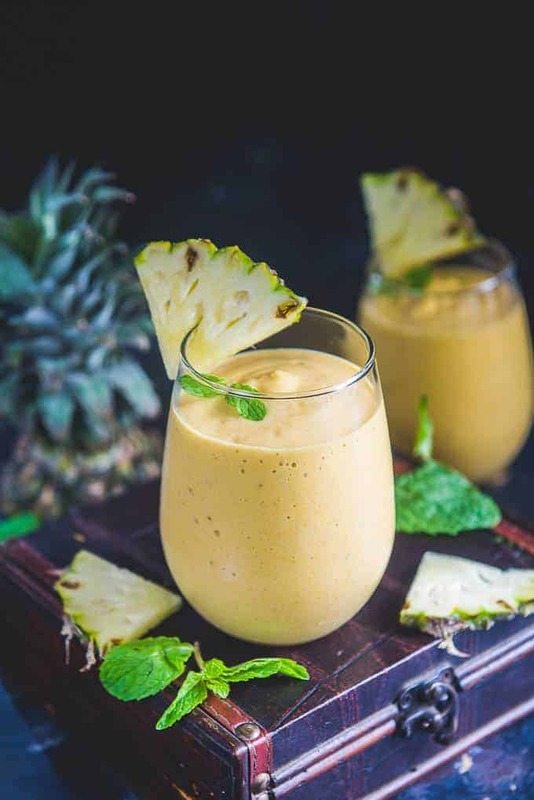 To make this smoothie, you will need fresh pineapple. Peel the pineapple and cut the flesh into small pieces. Make sure to freeze the pieces overnight for a creamy and thick smoothie. Fresh ripe mango is needed to make this smoothie. Peel the ripe mango and cut the flesh into small cubes. Freeze them for a few hours before putting them in the blender. If fresh mango is not available, mango puree works just fine. You can freeze it too for some time before using. Banana gives a nice body to the smoothie and makes it filling as well. Do not forget to freeze it as well. I have added some milk and plain yogurt in this recipe along with honey as sweetener and some vanilla extract for a refreshing flavour. Make sure to freeze the fruits a few hours before making the smoothie. Using frozen fruits makes the smoothie creamier and you don’t need ice to chill it. Use a good blender to make the smoothie. We don’t want chunks of fruits coming in your mouth. You can freeze mango when they are in season like I do and then keep using it throughout the year. You can do the same with blueberries and other fruits too. To make this recipe Vegan, use any vegan milk and yogurt instead of regular milk and yogurt. If as a vegan you do not eat honey as well, you can replace it with agave nectar, molasses, maple syrup etc. You can add more ingredients and make a new variation every time. I have mentioned some options below. You can replace the honey or sugar with stevia for low calorie drink. You can also add protein powder of your choice to this smoothie. 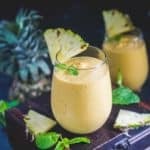 How to make Vegan Mango Pineapple Smoothie? To make vegan Mango and Pineapple smoothie, replace milk and yogurt with almond milk and soy curd and use maple syrup in place of honey. You can make variations of this smoothie by adding any of the following ingredients to it. You can also fortify your smoothies by adding nuts, nut butters or seeds in your smoothies. My fav are walnuts, almonds, cashew butter, peanut butter, almond butter, flaxseeds and sunflower seeds. Spirulina powder is a power house nutrients and make a great add on for smoothies. Enriched with fresh mango, fresh pineapple, banana, Mango Pineapple Smoothie is a nutritious tropical delight for the taste buds. Very Good Article. And Good recipe for childrens and all age persons.